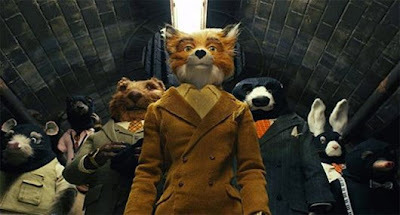 The film, Fantastic Mr. Fox came out on November 13, 2009 in New York CIty but comes out in Rhode Island on November 25. Looking forward to the fox!!!!!!!!!!! Here’s a link to the New York TImes review by A.O. Scott; Don’t Count Your Chickens. He loved it! I read NY times review and it seems to suggest it is a good movie. however readers reviews are mixed. Terri Gross talked to Wed Anderson today on Fresh Air about how he made the film Fantastic Fox.